It was a chance encounter at a Cincinnati mall parking lot in the early 1990’s that sparked Lawrence McCord’s interest in expedited trucking. A few months later, McCord bought his first van and signed on with Roberts Express (now Fed-Ex Custom Critical) in 1993. 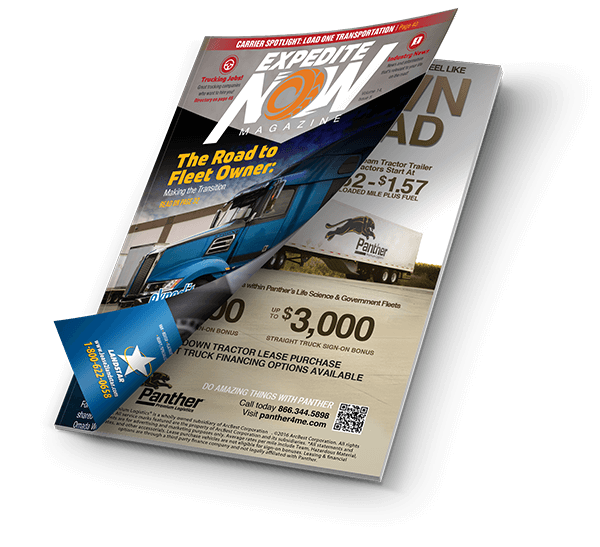 That encounter—and McCord’s decision to get into the business as an owner-operator—set in motion a series of events that eventually led to the launch of Expedite Now magazine a decade later in 2003. This issue marks the 15th anniversary for Expedite Now. And the magazine has come a long way from those early days, when the circulation was only 500 readers. Today, it’s considered the go-to resource for industry information that reaches over 24,000 subscribers and is available at most major truck stops across the U.S. 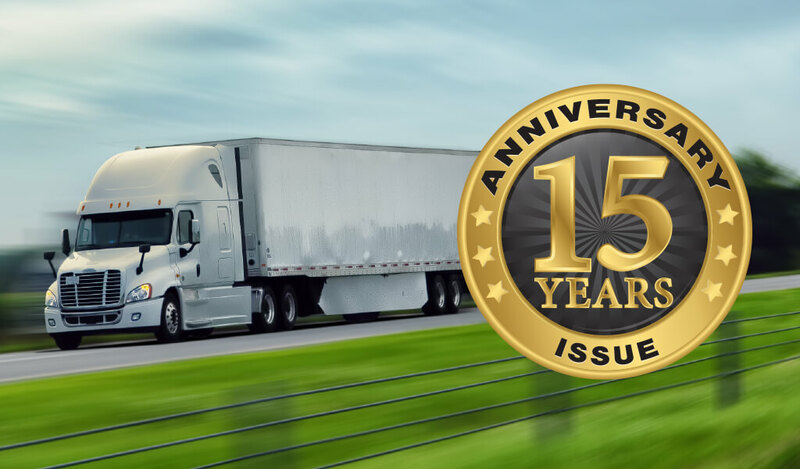 So, how exactly did the first—and only—print magazine for the expedited trucking industry come to be 15 years ago? I recently spoke with McCord to learn more about the story—how it all began and how the magazine continues to thrive in a media landscape where so many other publications struggle to survive. Here are the edited highlights from our conversation. Expedite Now: Take me back to that meeting with the expediter in the mall parking lot. What did you learn from him that got you thinking that expediting trucking could be a career path for you? Lawrence McCord: I was looking for something that would give me independence—independence from a desk, independence from a typical job schedule. I wanted to control my schedule. And I wanted to get out and start doing things—on my own time. So, when I met this guy, the way he described what he was doing sounded like it would be perfect for me. You know, set your own hours, earn as much as you want to earn, and with the risks also comes the rewards. That’s what I was looking for. It wasn’t long after that meeting that you bought your first cargo van in 1993. And then, six years later in 1999, you started On Time Media with the launch of ExpeditersOnline.com (EO). What led you to take that step to start a whole new venture? At that time, there was no place to get information on how to run your expedite business. There was no resource available. I was interested in becoming a fleet owner—which I ended up owning three vans—and I wanted to learn more about how to grow my fleet. But there was nothing out there for us to get information. So I put up a web page—really for myself—so I could network with other expediters and learn. And with time, the website and our online community just grew. What types of topics would you cover back then on EO? Topics like what parts of a city to be in. I mean, every city is different. In Detroit, it’s good to be near I-75. In Atlanta, it’s good to be either north of Atlanta or south of the city, but not in the city. And we would cover truck stops and amenities. At that time, the Detroiter truck stop in Woodhaven, Michigan had amazing showers that would blow away even a nice hotel. So, it was just really sharing information on things like that or on how to grow your fleet and so forth. When we started EO, they didn’t call it blogging back then, but we were blogging and sharing experiences right from Day One. Who was with you at that time when you launched EO? It was myself, my wife, and our writer at the time—rest in peace—Jeff Jensen. Jeff was also an owner-operator for Roberts and eventually came off the road to write full time for EO and the magazine. So, you started with ExpeditersOnline, and then a few years later, in 2003, you launched a magazine Expedite Now. What led you to take that next step—and a bigger risk—to start a print publication? One of the big inspirations for the magazine—and this is hilarious now that I think about it—was I would bump into people who knew about ExpeditersOnline—followed it and read it—and they would print off all these pages from the website so they could share the articles with their friends. And I’m thinking, “Wait a minute! 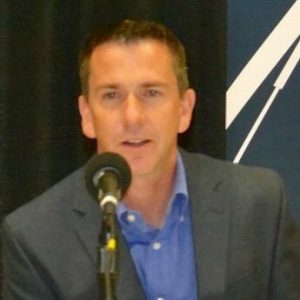 We’ve got to do something with this.” And then on the business side, we realized that less than 50-percent of drivers were online at that time. So, we wanted to also reach the people who weren’t yet on the internet. Normally, when you launch a print magazine, you have those early doubts—you know, “Did we do the right thing? “Will this really make it?” What were those early days of the magazine like for you? Yeah. What really helped us was that our advertisers and our sponsors believed in it. At the time, they had no marketplace to reach the expedite community. When they would advertise in other national trucking publications, they didn’t stand out. Expedite Now changed that dynamic. And today, we have several advertisers who’ve never not been in an issue of the magazine—they’ve been in every single one for 15 years. That amazes me. Even in 2008, during the “Great Recession,” they stood by us. We could never have done it without them in those early days—and today. I’m forever grateful for those companies. So, what do you envision for the future of Expedite Now? I think the print magazine will continue to have its place, especially on our truck stop distribution side. After all, where are drivers? They have to stop at a truck stop, right? If they want a cash advance, get a meal, fuel up, or take a shower, that’s where they’re at. So we’re going to continue to be there. I remember a few years ago when some many in the publishing industry would talk about how, “Print is over, print is dead.” Well, maybe that’s true in some cases. But it really comes down to what kind of information you have. And we have very specific information for a very specific audience—and the magazine will continue to thrive by keeping that information relevant and useful for our community.